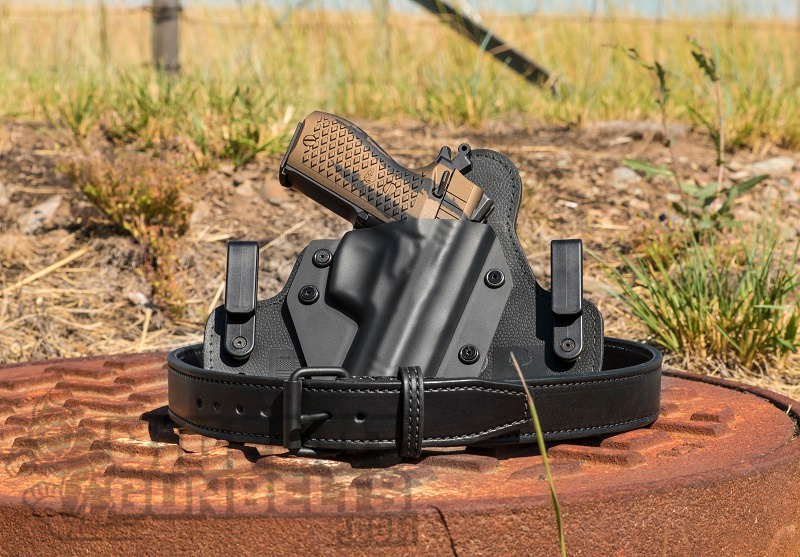 Ideally, you should have a every day gun belt as part of a concealed or open carry edc setup, as they are quite necessary for proper retention. Some people don't know what it is they should be looking for, so here are some tips on how to shop for a good gun belt. But Why Do I Need A Gun Belt? The reason you need a gun belt is to provide adequate horizontal and vertical tension. For just your pants, a normal department store belt will do just fine, but introduce an extra two pounds of pistol, and the typical belt just doesn't cut it. The typical belt you might get at said store that has a website devoted to the people of it, is only tasked with holding up a matter of ounces. Since your pants sit on your hips or waist, a belt only cinches them down, sort of like the o-ring for a dryer vent. The hose is already on, you just tighten it down for a better seal. They aren't built to take much more than that. Furthermore, a pistol puts an additional weight over a smaller area. Granted, many holsters can spread this out a little, but it still adds a larger weight to the belt than it was meant to bear. A gun belt is built to hold much more weight. You don't have to tighten it sufficiently to cut off the blood supply; it works like a normal belt. However, because a gun belt is stiffer and denser than a normal belt, it stays in the exact position and shape that it gets buckled into. Thus, movement up or down barely occurs, if at all. We're talking a millimeter or two of travel, if at all. The idea is that once you put a gun on, whether it's inside or outside the waistband, it should stay there. That's what a gun belt does. As when one is looking to purchase any item, the first thing to consider is what you're going to be using it for. Are you looking to carry everyday? 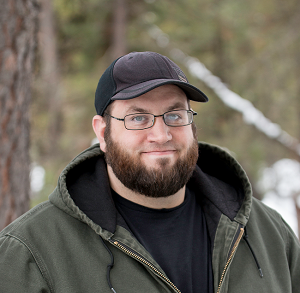 Or are you only planning to carry on range days or take a backup pistol with you when you head to the woods? Or for that matter, to hunt with a handgun? Form, after all, follows function. 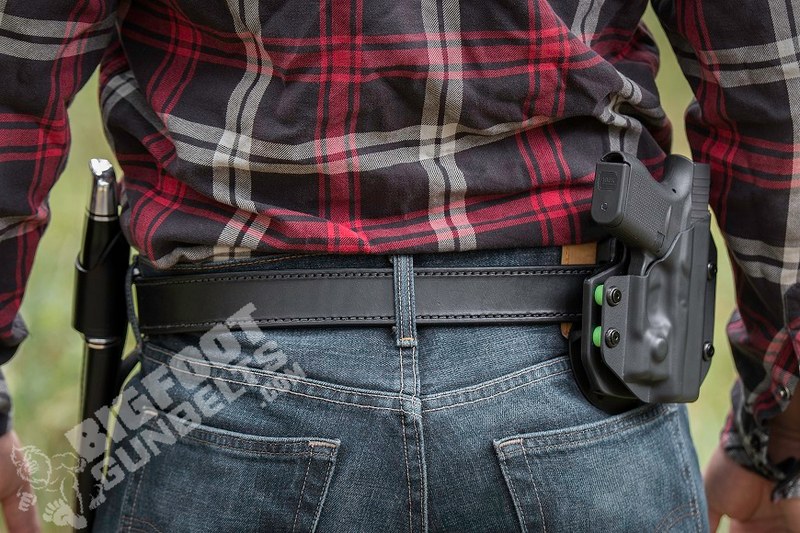 If you're looking for a gun belt for CCW or other manner of EDC, then you want a gun belt that you know you'll be comfortable wearing every day. At that point, it becomes a question of what you want out of something you'll be wearing everyday. What Does Every Day Carry Mean To You? Let's say you DO need a gun belt for EDC. What exactly are you looking for in an EDC belt? Some just want something cheap that works. That is certainly available at almost any location of a particular chain store. You know, it's the one that has a website devoted to the people of it. Others want "tactical" gear; swooning ensues if black plastic and nylon are involved. There's certainly nothing wrong with that, if that's what you're into; many tactical accessories are well-made and can last years. However, not everyone wants to look like a SWAT-team wannabe; there are people out there who work in offices and such that need or want to be more presentable. 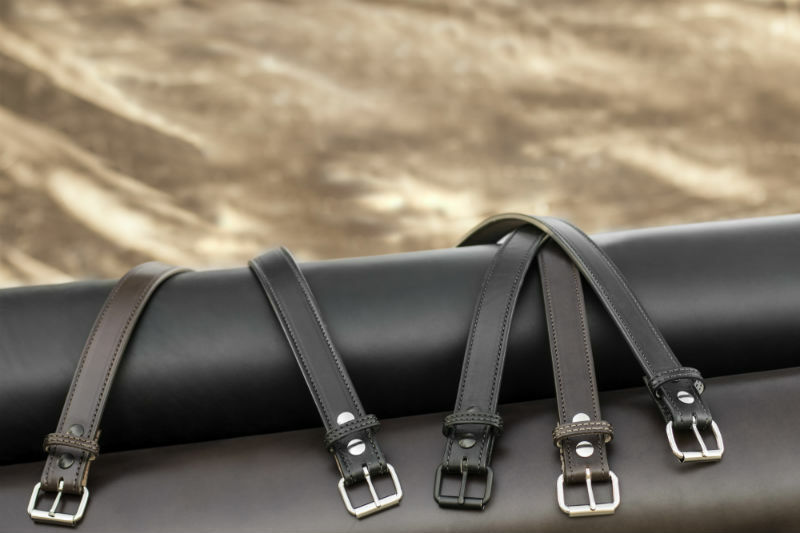 A leather gun belt isn't as obvious as a nylon belt, and a quality piece of leather can last a lifetime with proper care. The best leather gun belts are engineered for maximum durability, so even if you don't carry everyday, it will still be a quality belt. A decent leather gun belt can be used with any outfit, so you can carry wearing shorts or a tuxedo. Gun belts basically come in leather or nylon. Nylon is a chemically engineered synthetic material, so you're not going to necessarily know how a nylon gun belt will hold up over the long term. Granted, that's not to say a nylon belt won't hold up...but generally one will get what one pays for. As to leather, the quality of the leather is hugely important. Single-ply belts can be thick, but they generally aren't as strong as two-ply belts; the bottom side of leather, since it's a deeper layer of tissue, is softer and not as strong. Two-ply leather gun belts can also be made with a core material, such as spring steel. Top-grain leathers are made from the top-most layers of skin, which are the strongest. Full-grain leathers are still durable, but not as much as top-grain leathers. Belts of exotic leathers, like ostrich or alligator, are certainly beautiful, but aren't always built as sturdily. Exotic leathers are often selected for appearance, not capacity for work. 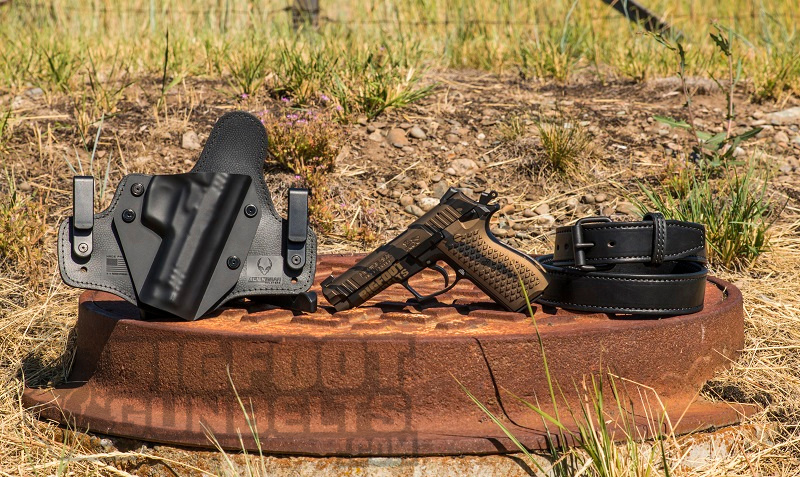 The best leather gun belts are two-ply top-grain leather, such as English bridle leather, with a core material for strengthening - like Bigfoot Gun Belts.